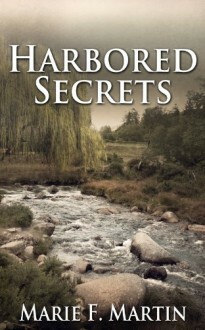 From the author of the popular Maternal Harbor comes Harbored Secrets (a contemporary novel with mystery in the unearthing of family secrets.) In May of 1935, Blinny Platt’s homestead shack burns to the ground forever leaving her family asunder, scattering them like the embers flew on the Montana wind. She was only eight-years-old, sent away and in charge of her little sister. She could handle that because Platts take care of Platts.However, it is the hidden secrets of her parents smoldering beneath the charred remains that haunts Blinny until 1982. She once again leaves the home place to build a house for herself. As the foundation is poured and the walls go up, each of the hurtful memories are uncovered. Finally the mystery, left in the ashes of the burned home, is revealed. How could her mother do what she did?